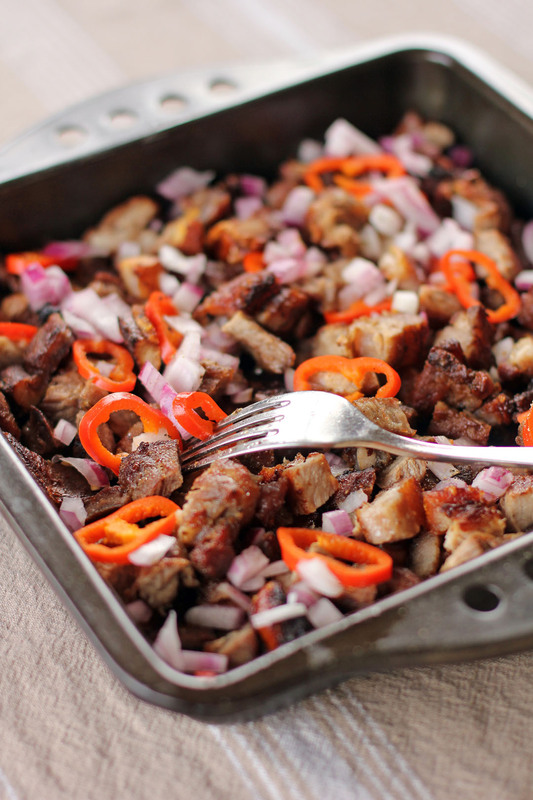 Insarabasab, Sarabasab or Ilocano Style Sisig is an Ilocano dish made out of chopped flame grilled pork mixed with chillies, onions, vinegar and other spices. The name of this dish came from the word Insarabasab which means “something burned in fire” which exactly describes its cooking process. Traditional way basically is cooked in flames over a top of a clay stove called dalikan, the taste of the logs smoke add to the character of this dish, once cooked the pork is then chopped into small pieces and mixed with other ingredients and the most important of it is the Sukang Ilocos a type of vinegar produced in the region of Ilocos. This is then served with rice and basi and other vegetables that may suit. Now gone are the old days of this cooking method but the closest one would be charcoal grilling and that’s what are we going to do today. In a covered container combine calamansi juice/lemon juice, garlic and salt together, add pork making sure it’s well coated. Cover container then let it marinate overnight. Prepare a charcoal grill, place pork on top of grill until it’s cooked. Let the charcoal flame once in a while as it adds flavour to the pork. Remove pork from grill then chop them into small pieces. Place in a serving platter mixed with the remaining ingredients. There’s something wonderful about flame grilled meat. These burnished chunks of pork belly make me wish I had an open pit fire, lots of bread and a group of friends to share this with as we passed this around. It’s exactly my kinda winter warmer. This sounds like a great grill dish. The vinegar is appealing to me as well. This looks so tasty! Love the bright peppers. Have a great week! Look yummy and I can actually have this, thanks !!! This is a new one to me. I’d love to try it though. 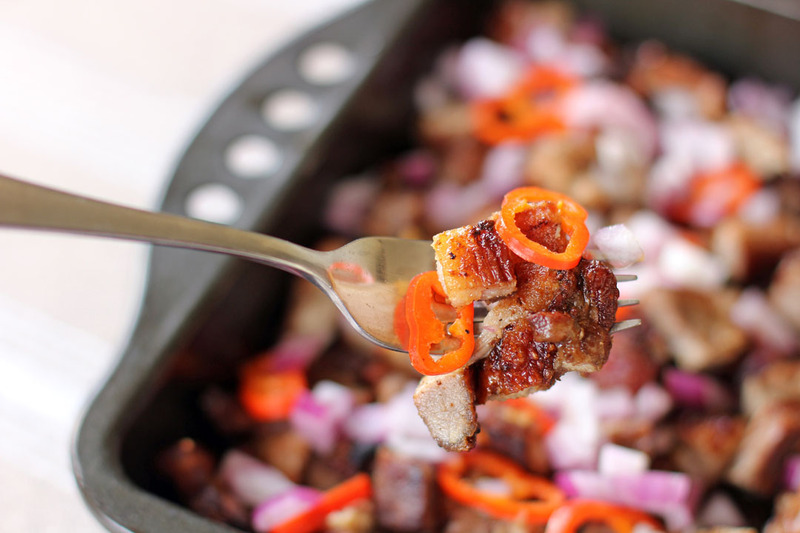 Grilled pork belly – now that sounds just awesome!!! What a great dish Raymund!